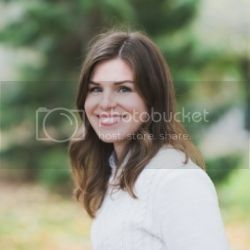 I'm a BIG fan of the statement necklaces popping up everywhere this season. Tempted by the ones at Jcrew (above), I happily discovered a Chicago artist who's new line of jewelry has the same feel. 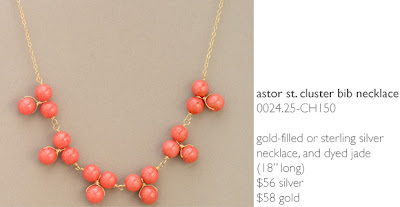 The Astor Collection by Jess Jewelry is sweet, wearable and affordable. 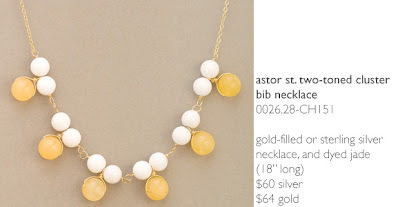 I love JessLC and the Astor Street Collection is simple and fresh! are so right that they have a similar flare to the j.crew options. Isn't her jewelry pretty!! i heart JCREW. Love it.